A strobe light illuminates a darkened space every 80 second. 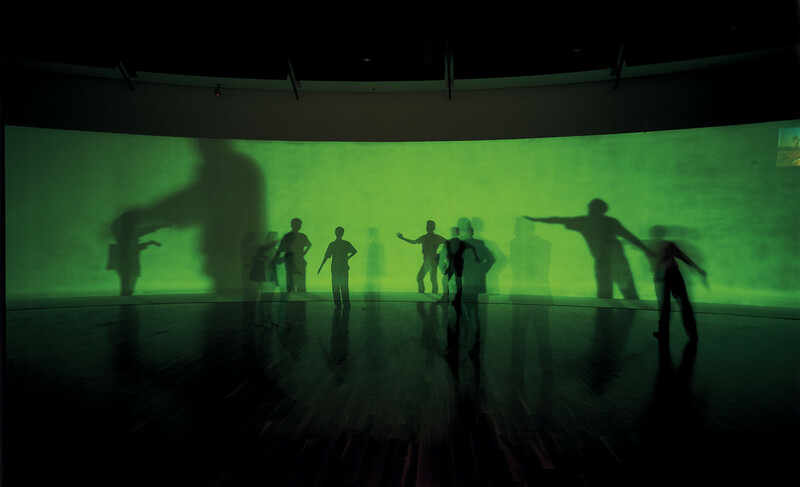 The viewer's silhouette is temporarily frozen on a wall covered with phosphorescent paint until being erase by the next flash. Commissioned by the Hiroshima City Museum of Contemporary Art, 1995.